Though not clear who originally issued this pithy quote, but in considering the late presidential aspirations of former Vermont governor Howard Dean, this phrase has more than some resonance for the rest of us. After all, he may be the first person to advance the premise that one needs to worship at the alter of the Theory of Evolution to qualify for the presidency. Dean has also apparently disqualified every American who has not graduated from college from ever seeking the presidency by suggesting that Governor Scott Walker is unqualified because he did not finish college. The Framers had something slightly more substantial and thoughful in mind for the presidency than does Howard Dean. Maybe Walker’s evident good character is what really bugs him. Character assassination is a special talent of the modern American liberal. From William Wirt to Clarence Thomas right up to Sarah Palin, the left and the corrupt political classes rarely engage in honest debate anymore. Perhaps governor Dean is devoted to the Theory of Evolution because he likes to stand up in front of crowds and issue simian-like screams. On the other hand, Governor Walker has written a more impressive book, Unintimidated, than governor Dean ever has. Shall we make book writing a criterion for the presidency? Nora Roberts for president? Dean is not alone in his thinking. My friend, Al Kamen of the Washington Post, asked liberal college professors if they thought a college degree was a requirement for the presidency. Guess what they said? These card carrying, dues paying liberal college professors said of course it was. What a surprise. “Oh tempora o mores” cried Cicero, condemning the brutality and corruption of his era. Oh, the times we live in indeed. This is not your father’s (or grandfather’s) Democratic Party anymore. This is not the party of good and great men like Hubert Humphrey and Walter Mondale, Sargent Shriver and JFK, all liberals, all committed to truly helping the underprivileged and needy. American liberalism is a simply a dogma addicted to power and will not let anything stand in its way. Many of today’s Democrats (and most liberals)seems too happily invested in snarky cynicism and a brutish know-it all-attitude which concedes nothing to the Right. It has been said but it is still true that the 21st century Democratic Party closely resembles a Saul Alinsky operation. In Howard Dean’s eyes, one can see his utter contempt for anybody who is not like him and doesn’t believe what he believes. Hillary Clinton has the same mean eyes, as did Richard Nixon. As does Paul Krugman. Shakespeare was right when he said the eyes are the windows to the soul. And lest we forget, Hillary failed the DC bar exam, despite taking it repeatedly. Is she therefore disqualified by Dean’s light? On the other hand, a four year degree isn’t much to cling to these days. The letters and e-mails I receive from freshly minted college graduates are, for the most part, embarrassingly illiterate and shot through with excessive first person pronouns and tortured grammar. Many colleges and universities today are little more than factories for the manufacture of hate and ignorance. In the old days, college professors were honorable liberals who applauded an intellectual discipline, and the Socratic Method. I have fond memories of my days at Springfield College, where the professors encouraged debate and discourse. Springfield and a few other schools still hold to this rigor but sad to say they are in the minority. According to a study conducted several years ago by the Intercollegiate Studies Institute, a test group of high school graduates took a civic literacy test. Pretty basic stuff too, such as branches of government, terms of office and the like. The ISI, after four years, went back and retested the same group and an amazing thing happened: they got stupider after four years of college! Ronald Reagan once quipped that Harvard wasn’t the answer to juvenile delinquency. The Academy is also apparently not the answer to unawareness. 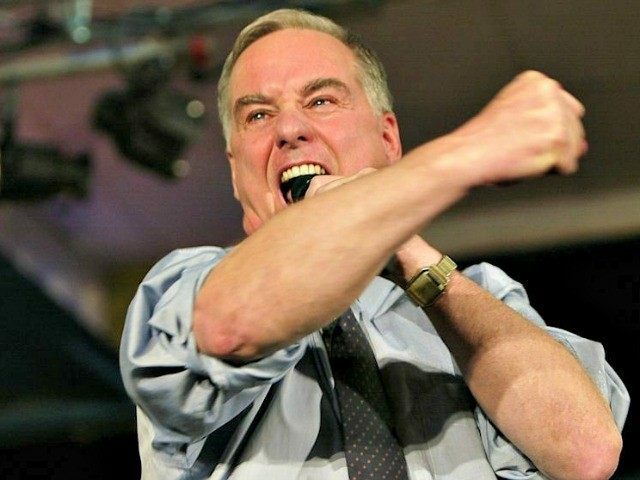 Howard Dean shows little grasp for the presidency. In fact, one might call him ignorant. Even unschooled. The Framers simply said to be president, one must be a natural born citizen and 35 years of age. The Federalists, John Jay, Alexander Hamilton, and James Madison, in arguing for the new Constitution under their nom de guerre, Publius, said the real qualifications for the presidency were experience and character. So sayeth Howard Dean. There is always something.